The General Assembly reconvened and began with a Flag Ceremony for the Bellah, who had been unable to attend the previous General Assembly. The (interim) Treasurer then presented the UNPO Financial Report to the Members, and the President raised the subject of the organisation’s Board election. This was followed by the amendments to the Covenant based on the changes proposed by the special committee on the topic. Following debate and space to raise concerns, the changes were adopted by UNPO Members and the General Secretary thanked Members for their efforts. The floor was then given to the Oromo Representative to discuss the recent, positive changes in Ethiopia, followed by the Somaliland Representative’s speech on UNPO and its future strategies. 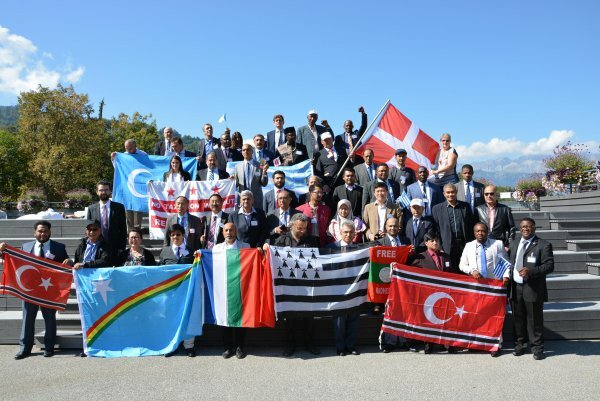 Representatives from Sindh, Kabylia, Ambazonia and Western Togoland also spoke on their peoples’ struggles and ambitions, as well as their hopes and expectations for UNPO. A resolution was passed on the case of anti-slavery activist Biram Dah Abeid as put forward by the Haratin Representative. Finally, the Representative of Savoy was thanked for his people’s hospitality and efforts in organising the GA; the Secretariat was also given a vote of thanks for their commitment to the organisation, especially during difficult times. The General Assembly concluded with the President’s thanks to all involved.